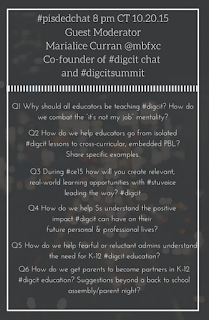 Click here to see the DigCitSummit website. I had the opportunity to present and participate in the first Digital Citizenship Summit on October 3. As a teacher who believes in the power of technology for teaching and learning, I know that students, schools, parents and policy-makers need to work together so that we are using the tools to make positive change. If you haven't yet, this week is the time to take action. At the Summit I was able to learn from other speakers who included impressive digital citizenship thought-leaders from multiple perspectives: students, parents, industry leaders, psychologists, educators, and more. They are already taking action in their areas of expertise, but the summit brought us all together. The founders, Marialice Curran and David Ryan Polgar are already taking action themselves and are promising another summit next year that will be bigger and include more student voice. Click here to read my article on ConnectSafely's website. After reflecting on the entire day and talking more with Marialice and David about their own debrief and plans for the future, I was able to write an article for ConnectSafely about digital citizenship best practices for schools. Since this week is #DigCitWeek and this month is both Cyber Security Awareness Month and Bullying Prevention Month, I urge educators to read the article and think about how the many important topics that make up digital citizenship can be addressed in our communities, schools, and classrooms. My own contribution was a presentation -- with a few audience activities -- showing how my school has rolled out a fully integrated digital citizenship curriculum in all classes, no matter the grade level or content area. My colleague Julie Cremin is sharing our school community's work at the Northeast Professional Educator's Network Conference in early November. A couple of weeks later we are co-presenting about our program again at the EdTechTeacher iPad Summit in Boston. And I'll have the opportunity to share it again in December at the 2015 National Blue Ribbon Schools of Excellence Conference. No doubt, at all venues we'll have even more examples of student work and teacher excellence to share since our school year marches on and digital citizenship continues to be a priority. If you'd like to be a part of the digital citizenship movement from the comfort of your couch, you can join us on Twitter. 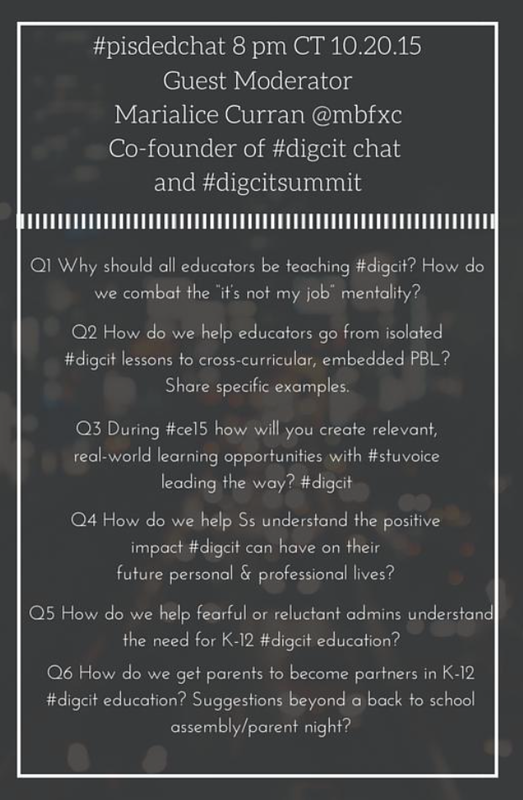 Marialice co-founded the #DigCit chat, which happens Wednesdays at 7pm. Last week's chat was about preparing for Digital Citizenship week and the Storify is inspiring. Moderators included digital citizenship thought leaders Jason Ohler and Mike Ribble who have literally written the industry standard books on the topic, and Frank Gallagher. Follow the #DigCit hashtag every day of the week to find articles, lesson resources, and excellent examples of student work. 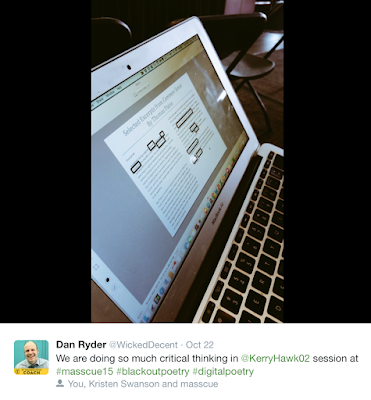 Share the work you are doing and join the #digcitPLN. Some Twitter chats are turning to the digital citizenship topic this week. Marialice is moderating #pisdedchat on Tuesday, October 20 at 9pm EST. The questions are previewed in the graphic here. No matter how you take action as part of the digital citizenship movement, share your work! Blog, tweet, share with your school community and with the world. Students, parents, teachers, and industry are starting to work together so that all of us can benefit from the power of the technology while making sure our work is positive and focused. On Friday, The Hill again published one of my op-eds on the role of technology and the importance balance with student data privacy that continues to be discussed by policy-makers, parents, students, and educators. In this article, I encourage interested parties to engage teachers and school and district administrators in the discussion. They will find out how students' privacy is being safeguarded, while students are still benefiting from utilizing powerful technologies in the classroom. Click here to see my guest post for Voxer. When it comes down to it, we humans crave real relationships. This is true within our families, with friendships, and with professional networking. 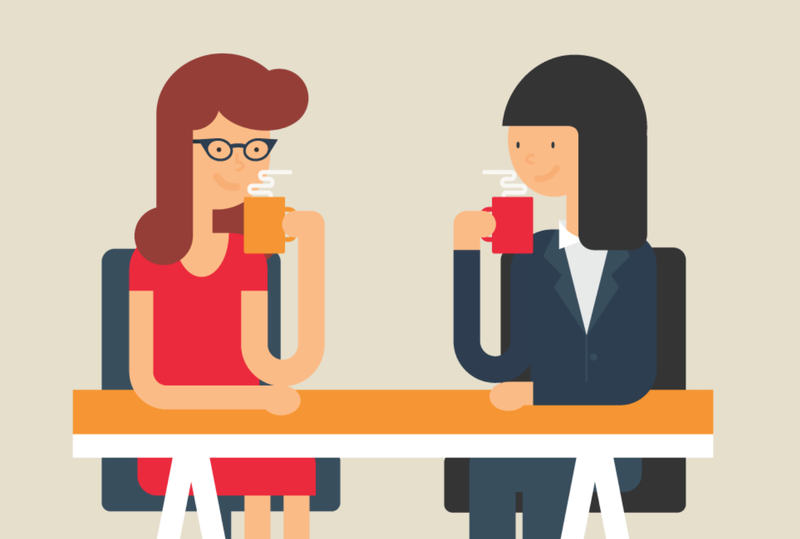 When building a professional network far beyond the workplace, social media can be a powerful tool. The past few months I've been involved in a few projects meant to get the word out to teachers that social media can get them connected to like-minded positive colleagues near and far. 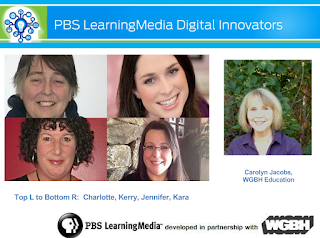 Educators can find inspiration for innovative teaching practices, technology integration, and can even reach out to experts and authors on their students' behalf. 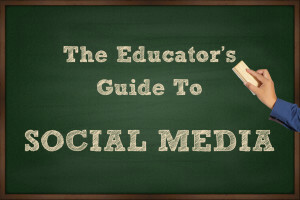 The summer Larry Magid and I co-authored The Educator's Guide to Social Media, which was published by ConnectSafely, to help teachers and administrators understand how to navigate online communication using these powerful tools. After speaking with the folks at Voxer more about their tool, I had the opportunity to write a guest post for their blog about how Voxer has been an important part of how I network and build relationships with other education thought leaders from around the country. I even wrote about how my students in Massachusetts connected with students in Texas last year thanks to Voxer. If you'd like to read more in the post, and learn how you could be using Voxer to expand your learning network, click here. Author's Note: This post was co-authored with my dear friend Dr. Will Deyamport. 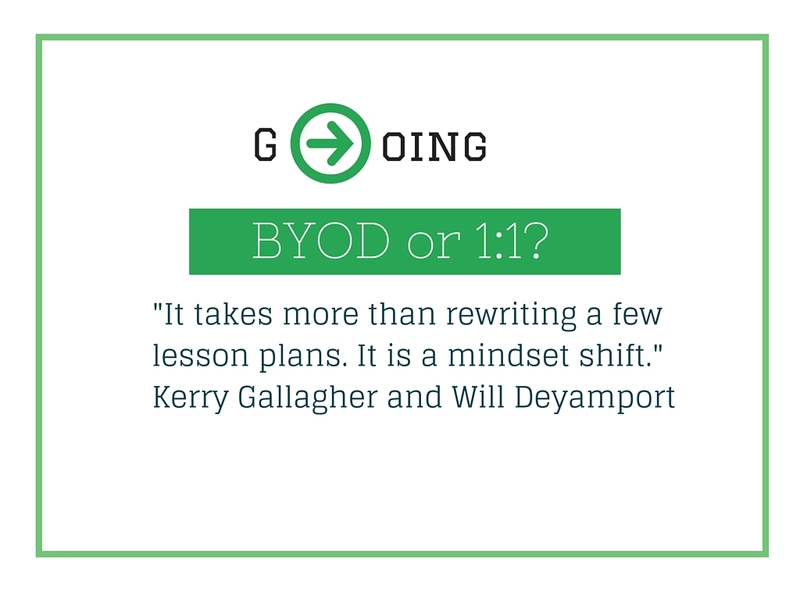 We brought our shared experiences in 1:1 and BYOD environments together in this article. Our hope is to share best practices for transforming teaching, learning and the overall mindset in schools that have gone digital. for his teachers so they can reference it when they need it. We didn’t want to drop a cart of Chromebooks in each teacher’s classroom and then see them feel bewilderment at what happens next. The boot camp consisted of sessions on the Chromebook, GAFE, Schoology, and several other sessions aimed at preparing teachers for the upcoming school year. These sessions were not the traditional “sit and get” or “drill and kill”. Teachers need a hands-on experience with opportunities to collaborate and discuss how they can successfully implement the tools. For example, a teacher may be concerned that the login process for a program may be too complicated for their students. These are the moments when Instructional Technologists can see the implementation through the eyes and experiences of the teachers. Pro Tip: Flip professional development by offering learning modules via the LMS you have chosen to implement. Then you can focus on how teachers can use the tools to reimagine the learning experiences of their students during that precious professional development time. to help teachers strategize and plan for their lesson activities. What about the configuration pictured here? When students work in groups, have them make little semi-circles facing the outer wall with their desks. Then the teacher can walk between the groups to check in, or stand in the middle of the room to scan all groups simultaneously. 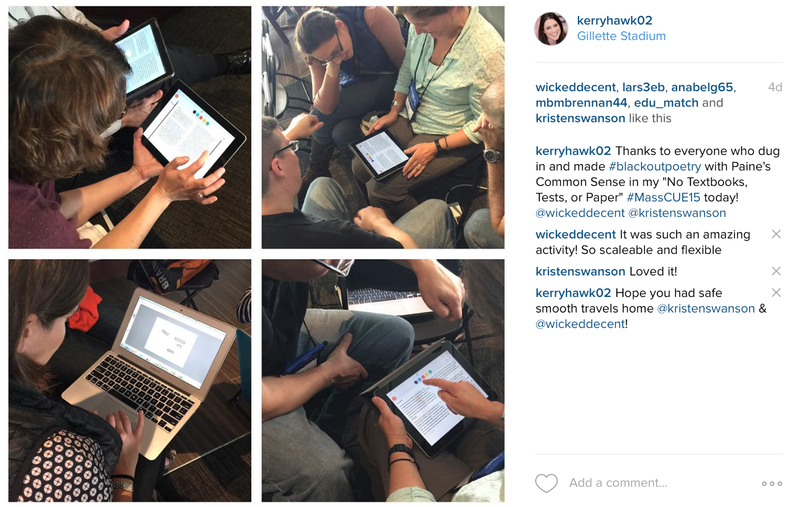 There are many other classroom configuration tips that can be crowdsourced when teachers and technology coaches put their heads together in a cooperative training session. 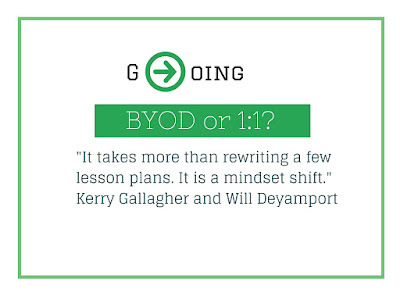 Leading digital change is simply about building teacher capacity. Some teachers will take to digital (blended learning) like a fish to water; some will feel uncomfortable and need help getting started; and some will worry that it is an attempt replace the classroom teacher.